The draytonvalley.ca events calendar is provided as a public service only. 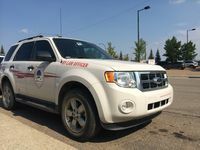 Events listed on this calendar are not necessarily supported or endorsed by the Town of Drayton Valley and are in no way intended to reflect the Town of Drayton Valley or its mandate. Events are published at the discretion of the Town of Drayton Valley, and are based entirely upon submissions from event organizers. The Town does not guarantee the accuracy and timeliness of this information; users are encouraged to contact the event organizers to confirm all event-related information. To submit events please use the "add your event" button.